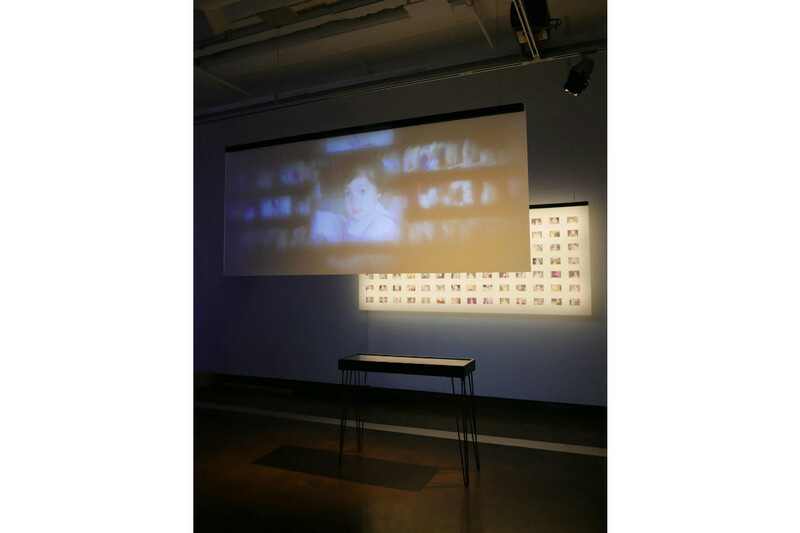 Poyen Wang, Six Excerpts from a Journal, 2018, Dimensions Vary 12 minutes/loop, Digital Video Projection (color, sound) - Photo, Single Channel Digital Video Installation. Photo by Poyen Wang. Courtesy of Poyen Wang. 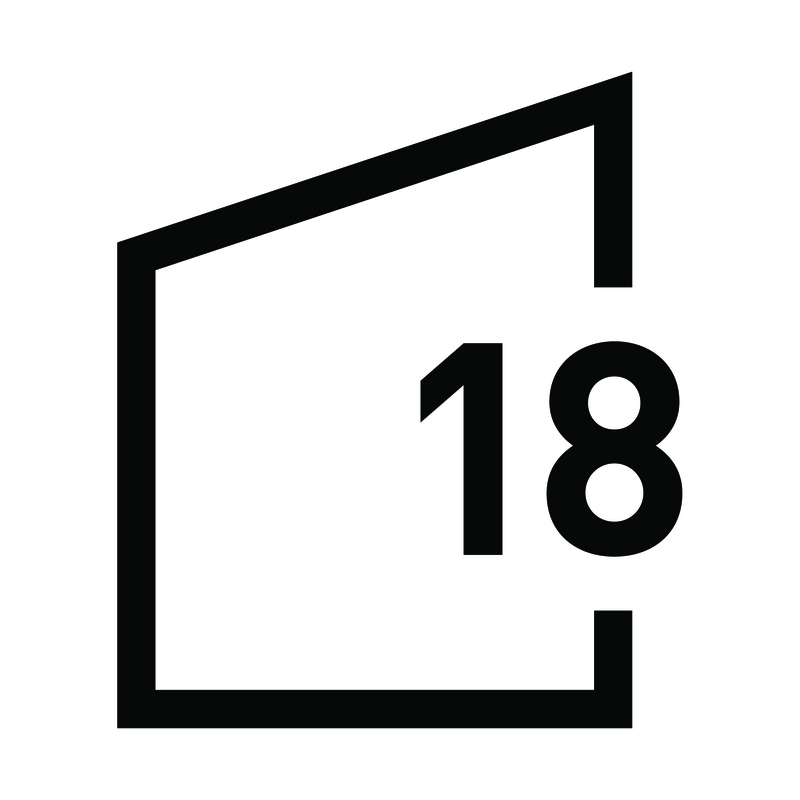 Poyen Wang, Crossing, 2018, Dimensions vary 10 minutes/loop, Two-Channel Digital Video Installation - Digital Video Projections (color) - Freestanding objects, Two-Channel Digital Video Installation. Photo by Poyen Wang. Courtesy of Poyen Wang. 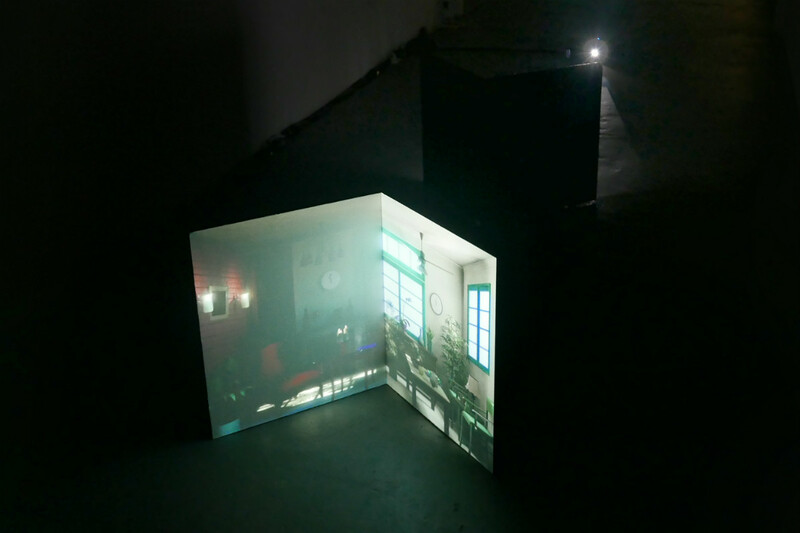 Poyen Wang, A Fabricated Personal Archive, 2017, Dimensions vary, Mixed Media Installation: Digital Video Projection (color, sound, 4 minutes/loop), Plastic glass sheets, Led lights, Transparent films, Customized vitrine, 3D printed objects. Photo by Poyen Wang. Courtesy of Poyen Wang. 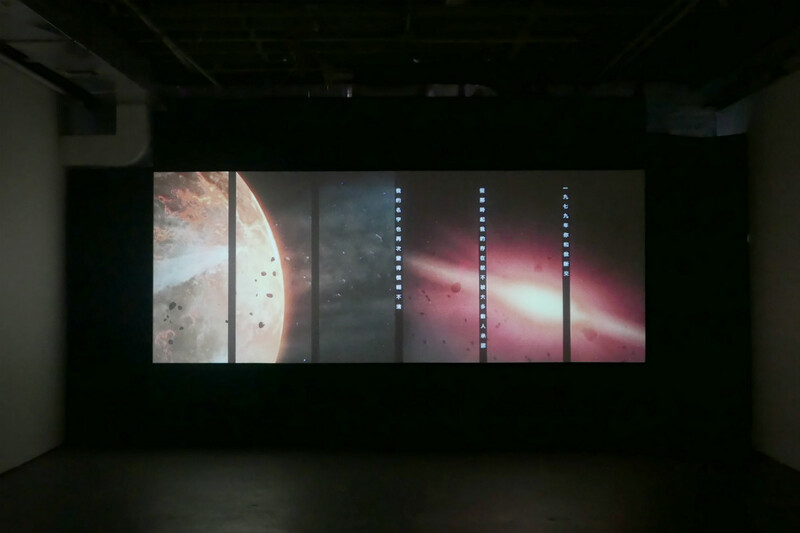 Poyen Wang, Saudade, 2016, Dimensions vary, Eight Screens, Digital videos (color, 4 minutes/loop). Photo by Poyen Wang. Courtesy of Poyen Wang. 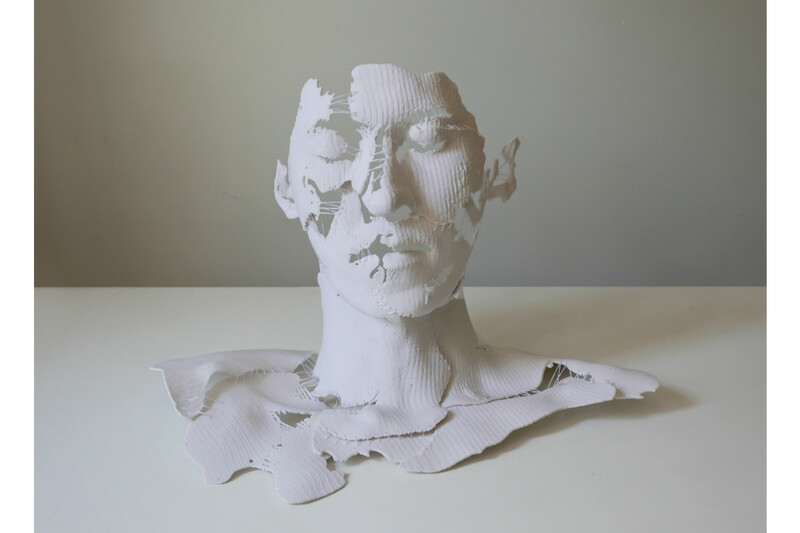 Poyen Wang, Construction of Intimacy, 2016, 13" x 24" x 15," 3D printed Sculpture, Composite powder, Threads. Photo by Poyen Wang. Courtesy of Poyen Wang. 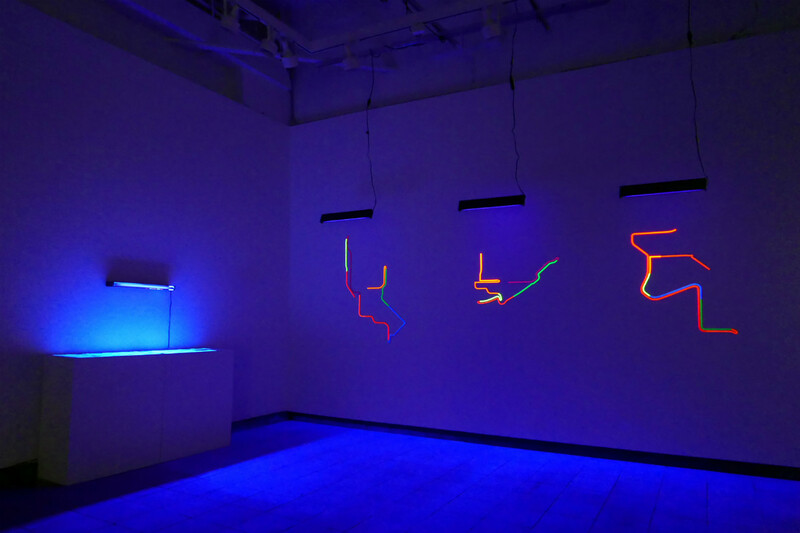 Poyen Wang, Route of Obsession, 2016, Dimensions vary, Mixed Media Installation: Acrylic sheets, Fluorescent paint, Black lights, Photo documents. Photo by Poyen Wang. Courtesy of Poyen Wang. 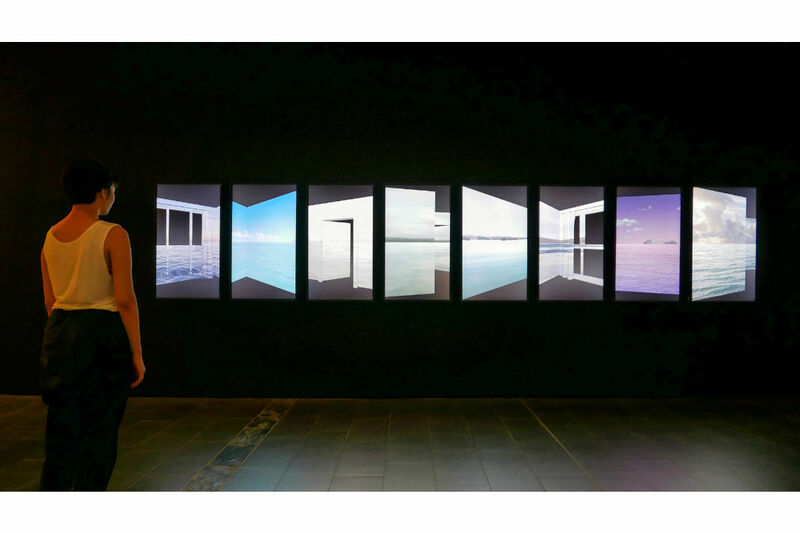 Poyen Wang, Atlas, 2016, Dimensions vary, Mixed Media Installation: Digital Video Projection (color, 27 minutes/loop), Digital Prints with Aluminum Frames. Photo by Poyen Wang. Courtesy of Poyen Wang. 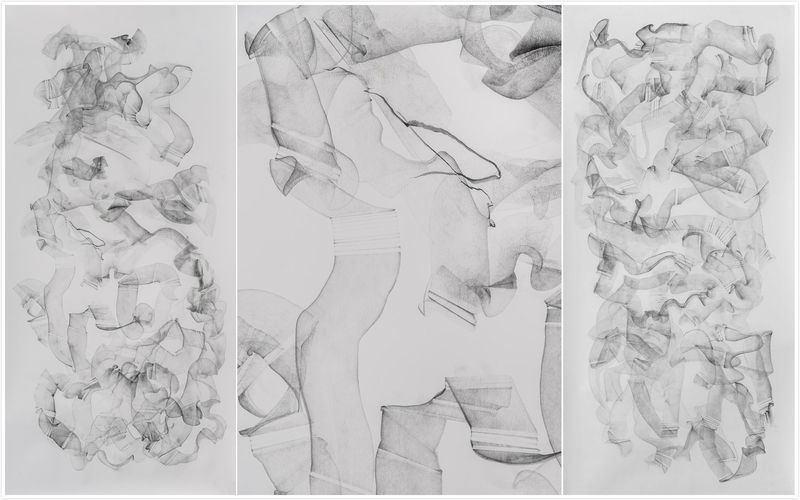 Poyen Wang is a New York based artist from Taiwan. His art practice primarily takes the form of video and installation, creating immersive environments to provoke viewers’ emotions and imaginations. 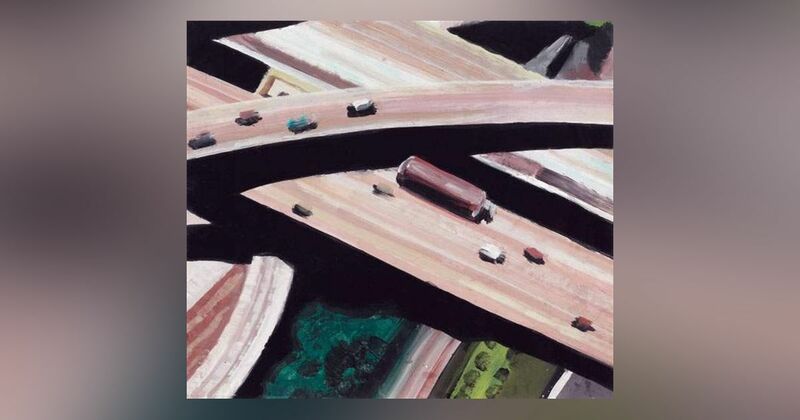 His work usually derives from personal experience and then evolves into research of the people or places he is associated with in order to explore their collective history and memory. 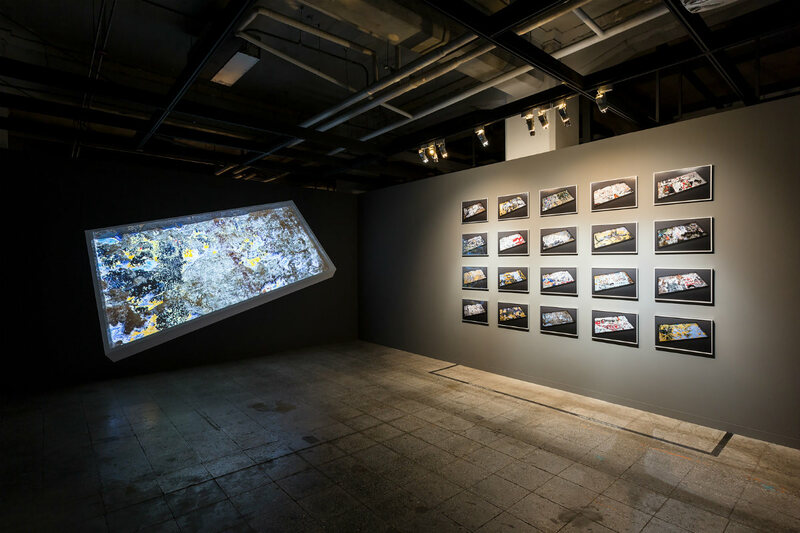 Using digital media, especially moving images and 3D animation as primary medium, he is concerned about how complex and intricate our identities are under the influence of digital culture and globalization. He examines how we perceive the outside world and our own existence in an age when our bodies are extended by advancing technology and our perceptions of reality are deeply intertwined with the cinematic. 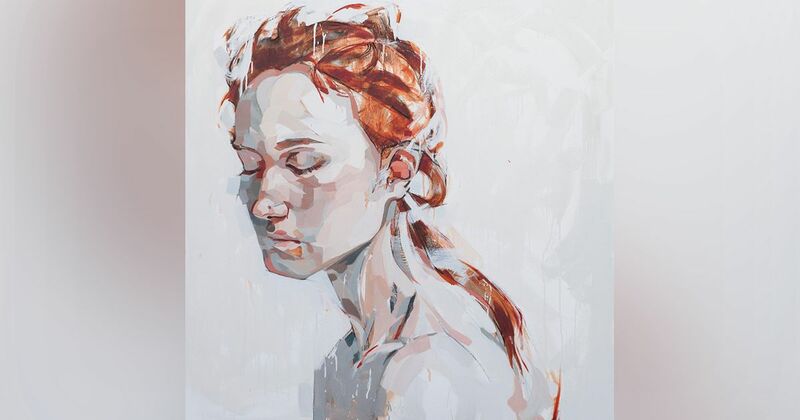 He was the fellowship recipient of a government sponsorship for overseas study from Taiwan in 2015 and won the Gold Medal Award at Taiwan National Art Exhibition in 2017. He completed the AIM program at the Bronx Museum of the Arts in New York City in 2018. He received his master’s degree in New Media Art from Taipei National University of the Arts in 2015, and his second master’s degree at the School of Visual Arts with a Paula Rhodes Award in Computer Art in 2017. Poyen Wang’s residency is generously funded by the Ministry of Culture, Taiwan, and supported by Taiwan Academy Los Angeles.